Your time is valuable, and time is often referred to as “money”. However you view time, whether you have plenty of it or never enough, it is precious. Your time at the gym is equally as precious and valuable, as gyms provide an excellent escape from the stresses of work and responsibility. These stresses and responsibilities have their due time, and while you can enjoy exercise with your peers and a great endorphin release at the gym, your responsibilities will always be there waiting for you. So why not maximize your time at the gym? 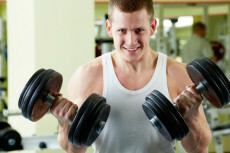 You can get the most out of your time spent at the gym without becoming a gym rat and spending all your free time there. 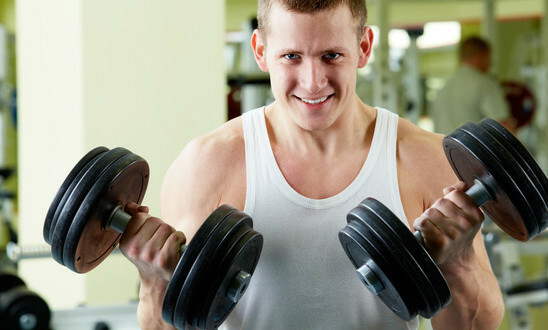 You just need a focused plan of attack to get in a killer workout in the time you have allotted as “gym time”. To really maximize your time at the gym, you have to incorporate some form of high intensity interval training (HIIT) or circuit training. In a nutshell interval training is a great way to shorten the amount of time spent on workouts, while getting all the benefits of traditional exercise plus some. Circuit training is form of exercise that takes you from exercise to exercise without resting. If done properly you can alternate body parts or types of movements (like pushing, pulling movements) so that one area of the body is resting while the other is continuing to move. This keeps the heart rate high and the fat-burning at maximum. You can integrate interval training into almost every aspect of your workouts. With your cardio work, you want to set the bike, elliptical, or treadmill to a pre-programmed interval setting or do it manually. What you are looking for is a good mix of warm-up followed by a challenging resistance level that brings you through bursts of high intensity work followed up with short bursts of lower resistance (rest) and a repeat of high intensity work. This cycle continues for your set amount of time, and the great thing about training this way is the shorter amount of time needed. You can devote significantly less time to interval training than you can to traditional steady-state exercise. If you were to workout on a bike or treadmill at the same level of resistance for the set amount of time, you would have to remain on that particular machine for a long time to reach the same amount of calorie burn as the interval setting. Interval training definitely helps you maximize your time at the gym. Circuit training is essentially interval training with weights. When you are lifting or training on machines, you have two choices. You can exercise your legs on a leg press,for instance, and rest between sets, or you can do a set on the leg press, move straight to the row machine and work the upper body, and then return to the leg press for the second set. As you do this, your heart rate stays high and you never stop moving. Your legs are resting as you work the upper body and vice versa. Similarly, you can circuit train by picking 10 exercises of the same body group and do one set of each directly after each other while alternating pushing/pulling movements. Once you complete all 10 exercises, you immediately begin the circuit again. Do 3-4 circuits and then rest. You will notice a big boost in endurance and strength when you train this way, and your time will most assuredly be maximized at the gym, because you won’t be stuck stagnantly waiting for your muscles to recoup for the next set before moving to the next exercise.